Do you have both PCOS and hair loss or hair thinning? Have you been unable to stop your hair from thinning or growing slowly? The reason you may have trouble is that you are focusing on the wrong issue. Hair loss in PCOS is driven predominately by your hormones. Learn how to stop and prevent PCOS hair loss in this guide. You will learn which hormone imbalances lead to hair loss and how to stop them. What Really Causes Hair Loss in PCOS? One of the most unfortunate symptoms associated with PCOS is hair loss. It is well known and documented that women with PCOS have an increased risk of developing hair loss (1). In order to understand hair loss, you have to understand some basics. There are many conditions that lead to hair loss and each one is slightly different. One of the hardest parts about treating hair loss in women with PCOS is that they can present with a combination of conditions which make diagnosis and treatment difficult. This is the standard hair loss that may occur in up to 40% of women by the time they reach 50 (2). This type of hair loss is referred to as androgenetic alopecia. No one really knows what causes this type of hair loss but it is most likely related to a combination of aging, nutrient deficiencies, and hormone sensitivity. It is speculated that estrogen likely plays a role because the incidence of this hair loss increases after menopause (and the incidence is increased in PCOS (3)). All women, including those with PCOS, can get this type of hair loss. Female pattern hair loss (FPHL) presents with thinning of the scalp which often creates a "Christmas tree" pattern. Women with PCOS can also develop male patterned hair loss (it's not just for men!) (4). This type of hair loss is felt to be caused by excess DHT conversion from testosterone (more on that below). Male patterned baldness tends to present with thinning of the hair at the hairline followed by a bald spot on the back of the head. This type of hair loss should be differentiated from FPHL which is discussed above. This type of hair loss results in diffuse loss of hair all over the head (compared to the other types of hair loss which cause specific patterns of hair loss). This condition results in rapid hair loss with up to 50% of hair loss from the head in up to 3 months (5). During this time period, you may notice dramatic "shedding" of your hair as you shower or brush your hair. This type of hair loss can be caused by many different conditions including stress, hormone imbalances, nutrient deficiencies and so on. Other hormones such as hypothyroidism, Hashimoto's (6) and estrogen/progesterone imbalances (menopause) (7) can also contribute to premature hair loss. Women with PCOS have a higher risk of developing all of these hormone imbalances which can further cloud the picture. What makes treating hair loss in PCOS confusing is that no woman presents in the exact same way. You may present with diffuse hair loss all over your head while other women with PCOS present with male patterned baldness. It's important to differentiate between these conditions because the treatment is different for both. When it comes to hair loss in PCOS it seems that while all hormones are important, androgens play a more critical role. Androgen most likely plays an important role in regulating hair growth and the hair cycle but probably not in the way that we typically understand or think about it. Generally, we think that high DHT testosterone = hair loss (as occurs in men). But we really don't see this pattern in women, especially those with PCOS. Many women with PCOS have so-called "normal" testosterone and DHEA levels and still suffer from hair loss (8). Instead of focusing on the total amount of testosterone in the body it's probably more helpful to focus on the metabolism of androgens and how these hormones impact your hair follicles themselves. Testosterone metabolism (which occurs in everyone) may create a byproduct known as DHT or dihydrotestosterone. It is well known that DHT is a potent androgen and one that negatively impacts hair growth and the hair cycle (9). Androgen-responsive hair follicles respond to testosterone by shortening their growth phase which reduces the "growth" of your hair. Some women (and men), especially those with PCOS, preferentially metabolize testosterone into DHT. This can occur even with normal levels of testosterone in the body! And this disordered metabolism may explain why many women with PCOS, even with "normal" or "high-normal" testosterone, suffer from hair loss. Furthermore, it seems that women with PCOS have an increased cellular sensitivity to testosterone when compared to other women. What this means is that their hair follicles tend to react more robustly in the presence of testosterone compared to other women. In this way, it is possible that even slightly high or abnormal levels of testosterone and DHEA may cause hair loss when for most people they wouldn't notice a difference. This information is important because there may be ways to reduce the sensitivity of your cells to androgens and to "push" the conversion of testosterone away from DHT. These therapies may then effectively treat hair loss. Is there a way to grow your hair back if you have PCOS? Is there a way to stop the hair loss that is already occurring? The answer is maybe, but it depends on how you focus treatment. PCOS is predominately a disease of your hormones and all of the symptoms of PCOS are manifestations of these imbalances. If hair loss is predominately a symptom of disordered hormone imbalances then the treatment for hair loss MUST focus on hormone balancing. This means that there is potentially a place for the use of hormones, supplements and even medications in the treatment of hair loss in PCOS. #1. Are you managing your stress? #3. Are you reducing the amount of refined sugar that you eat? #4. Are you exercising (not over-exercising) regularly? #5. Are you sleeping 8 hours per night? Before you jump into using supplements and medications these factors MUST be managed. In fact, in terms of importance, they are probably the most important things that you can do to manage hair loss. Whenever possible it's important to identify which hormone imbalances are present in your body. This will require some testing on your part (you can ask for these tests by your Doctor). If you know, for instance, that you suffer from high testosterone then you can target your treatment towards that goal. You can read more about how to identify if you have high testosterone in this post. These therapies may be able to help reduce your free and total testosterone, DHEA and reduce the sensitivity of your hair follicles to androgens. There is emerging information that shows a link between PCOS and thyroid disease, specifically Hashimoto's thyroiditis (10). The relationship between these two conditions appears to be bidirectional. This means that thyroid disease may lead to PCOS and PCOS may lead to thyroid disease. The exact mechanism isn't well understood but what you should know is that thyroid disease is a major cause of hair loss. Because of this bidirectional connection, it is very important that all women with PCOS be tested (and treated if necessary) for thyroid disease and Hashimoto's thyroiditis. Estrogen and progesterone both play an important role in hair growth. But it still remains important to have estrogen:progesterone balance in your body. An increase in estrogen or a reduction in progesterone can tip the balance and result in symptoms such as hair loss. Balancing your hormones is the first, but not the only step, in growing back your hair. Another important step is the evaluation of certain nutrients which are involved in hair growth regulation. Perhaps the most important is that of ferritin (or iron). It is well known that low ferritin contributes to the inability to grow back new hair. Studies have shown a connection between low ferritin and female pattern hair loss (FPHL) which is one of the main causes of hair loss in women with PCOS. 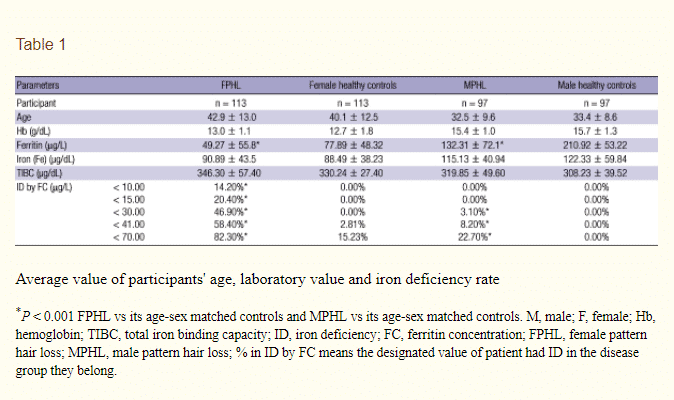 Women with FPHL have an average ferritin level about 30 ug/L lower than healthy controls. What's most important about this nutrient is that it can be optimized based on lab tests (it's easy to order and evaluate your serum ferritin) and with supplementation of iron. If you suffer from PCOS hair loss or FPHL then you'll want to shoot for a ferritin level of or around 70 ug/L (13). Anything less may make hair regrowth difficult. It's also important to understand the difference between a "normal" ferritin and an "optimal" ferritin, especially in the setting of hair loss. You can learn more about evaluating iron and ferritin and how to supplement with iron in this post. While iron is perhaps one of the most important nutrients for hair growth it is certainly not the only one. Nutrients and trace minerals such as Zinc, Selenium, Biotin, Choline, and Silicon play important roles in hair regulation. Deficiencies in these minerals are more common than you might think which is why hair, skin and nails vitamins can be helpful for certain individuals. If you have PCOS you will likely need much more in terms of treatment than a single vitamin, but repleting these nutrients (if deficient) can go a long way to helping improve your hair. This is my preferred hair regrowth supplement which works quite well for many women (and men). The preferred method for managing hair loss in PCOS is to always go after the root cause and treat that issue. This approach will result in the best improvement and reversal of hair loss. Having said that, there is still a place for the use of certain medications. Medications like Minoxidil are FDA approved for the treatment of hair loss in both men and women (14). The main drawback to using Minoxidil is that it only works insofar as you are using it. What this means is that it may definitely stop hair loss, or at least slow it down, but this benefit is reversed the second you stop using the medication. This makes it a less than ideal treatment, but it does have its place. If you are suffering from hair loss which is causing significant social anxiety or distress, then it may make sense to take a temporizing measure such as using medication to quickly stop the hair loss while other therapies kick in. By using Minoxidil in this way you can obtain the benefit for a short period of time while you use other therapies (such as hormone balancing) listed above. You can learn more about using Minoxidil and how it works here. Hair loss among women with PCOS is a serious condition and one that should be evaluated and treated. Hair loss can cause considerable anxiety and social distress if left untreated and may be largely side-lined to other medical conditions and therapies. If you have PCOS you should focus on treating underlying hormone imbalances, repleting nutrient deficiencies and improving your lifestyle. These therapies will give you the biggest bang for your buck and will go a long way to reversing hair loss. Some people with PCOS may have a genetic component which will make their responsiveness to these therapies somewhat lackluster. At this time there isn't a way to differentiate between those who respond to certain therapies and those who do not. Because of this, it's best to attempt these therapies to see if they work for you. Are you suffering from hair loss secondary to PCOS? Do you have known thyroid disease or other hormone imbalances? Do you also have high testosterone or high androgens? 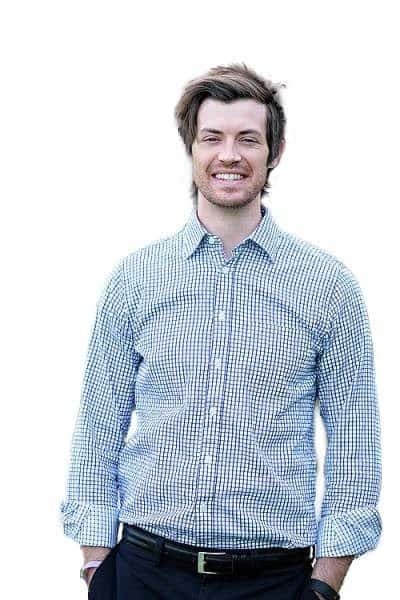 What has worked to help grow your hair back? What hasn't?